Assembled dimensions: 200" x 96" x 72"
The Flexible Flyer Play Park Metal Swing Set lets active children enjoy an authentic playground experience in the safety and privacy of their own back yard. 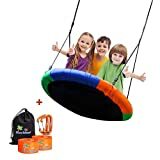 They'll enjoy hours of healthy outdoor play on the 6' wave slide, incredibly fun two-passenger air glider and lawn swing, trapeze, and two sling-swings. 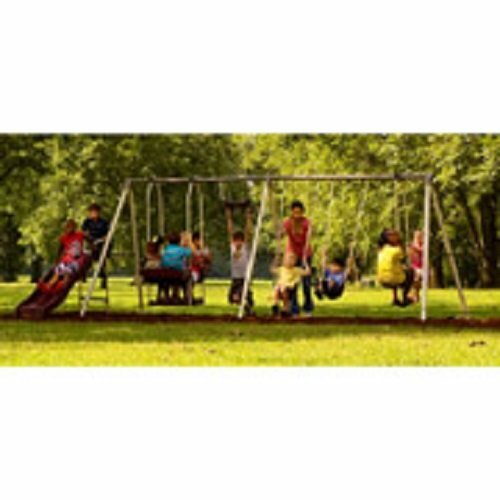 It's a wonderful choice for large families and social neighborhoods, as the Flexible Flyer metal swing set allows up to 10 children to play at once. The Flexible Flyer swing set requires assembly. 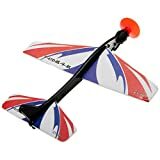 Tyke Expandable Skates Size "S" (8 to 11) Youth.